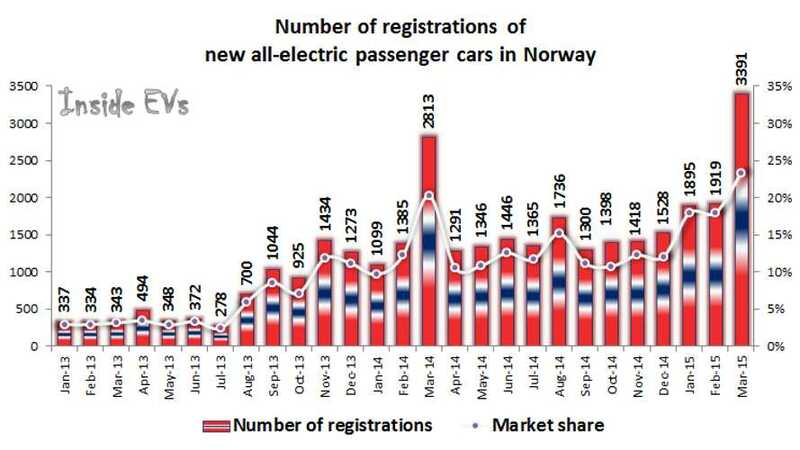 Norway again closed May at 15.5% of market share for all-electric passenger cars (compared to 10.9% year ago). Last month new BEV registrations reached 1,916 (1,865 passenger cars), but what's important is that plug-in hybrids are moving strong with 805 new registrations for a grand total of 2,721! 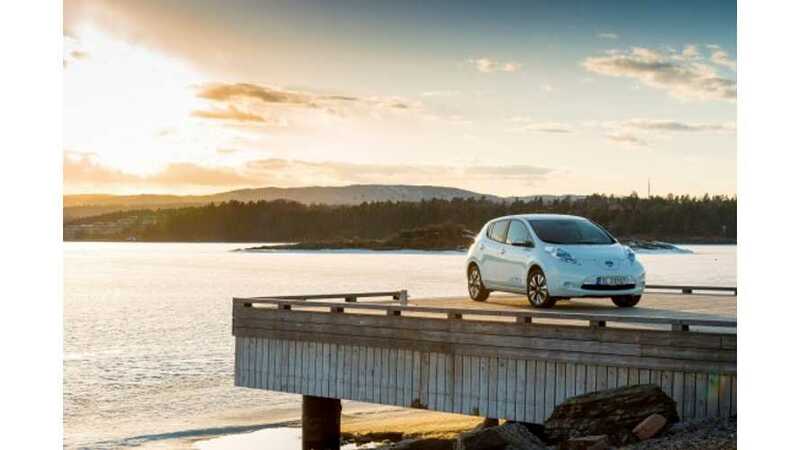 Norway set a new plug-in car sales record in March reaching 23.4% market share for BEVs and almost 2.5% PHEVs, which in total gives it some 25.9% among new passenger cars! Norway all-electric car sales again landed at ~12% market share last month and there are no signs at this time of further growth. 12.3% for passenger cars is a slightly higher result than in November 2013, however 1,418 units is below last year's 1,434. Higher share comes from a market that shrunk by almost 5%. 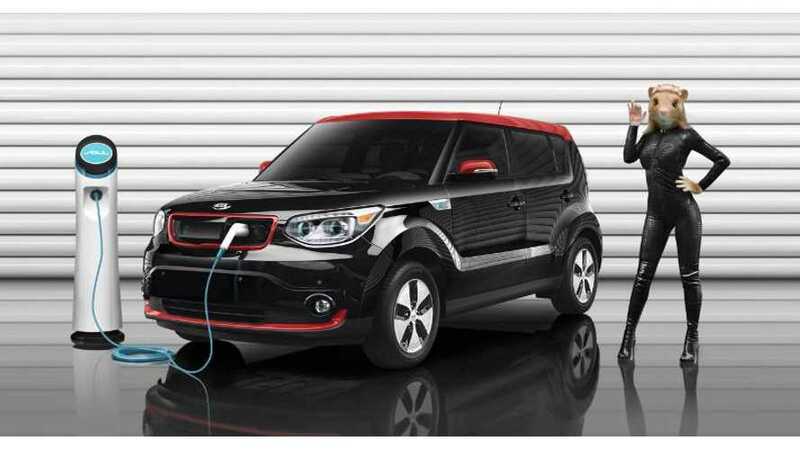 Kia Soul EV scored a good result in Norway last month as 105 units were registered. 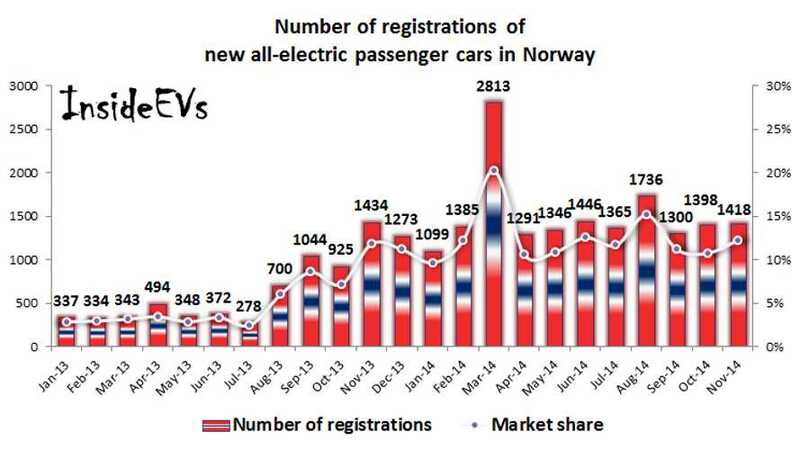 Comparing this to the 216 overall Soul registrations in Norway, we see the EV version had nearly 49% share. 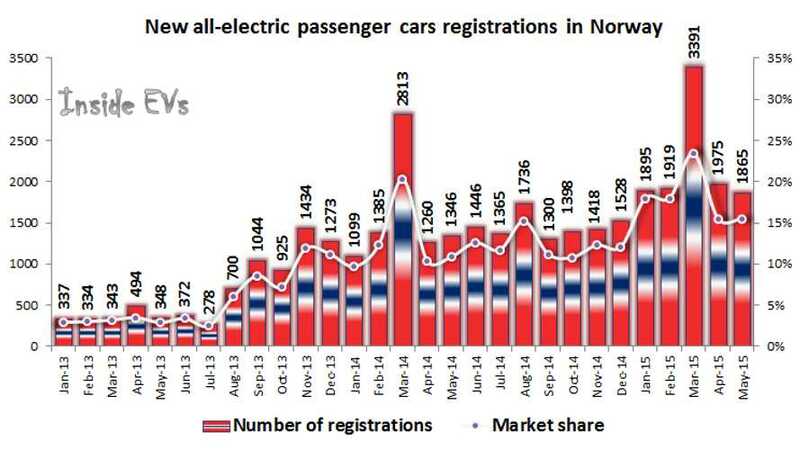 Sales of electric cars in Norway grew in July by almost 400% year-on-year. Last month, the number of registrations of new all-electric passenger cars reached 1,365 and 11.7% market share, which was supplemented by 231 used imported EVs. 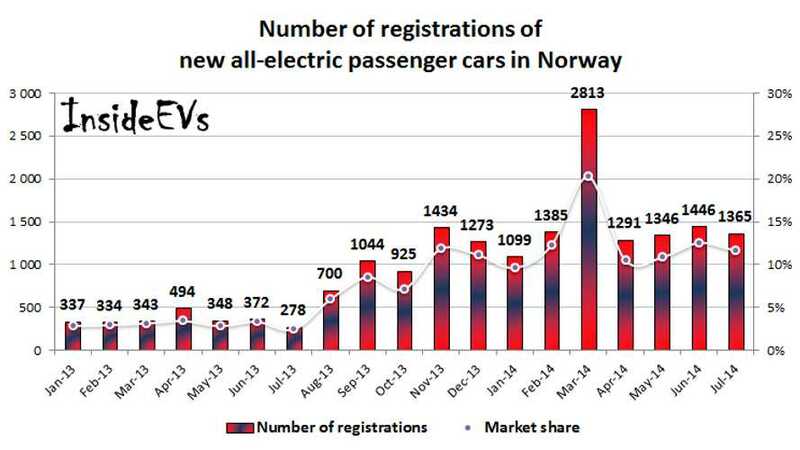 In total, we see roughly 1,600 passenger EVs sold in Norway in July.